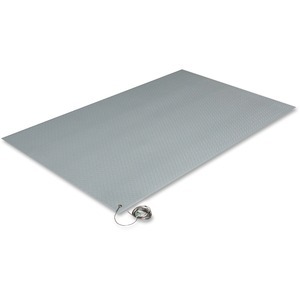 Anti-static mat protects your electronic components from damage. Highly energized Zedlan foam helps discharge static while relieving fatigue. Plus, the anti-static property also prevents the incidence of sparks caused by static. Ground cord can be connected to an electrical outlet for increased protection.